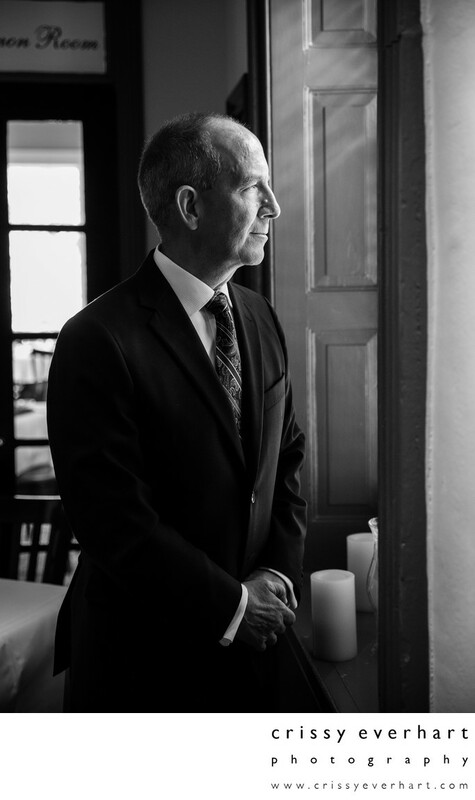 A thoughtful groom looks out the window at General Warren Inne just before his ceremony. Second weddings are just as important and fun- you don't have to be 20 years old to have great wedding photos! Location: 9 Old Lancaster Rd, Malvern, PA 19355.